Enjoy Our Drinks With 7 Different Flavors | Tweaker Shot! Tweaker Energy Shot is the fastest growing Energy Shot in the United States and clear value leader. It is the most powerful supplement on the market today! The revolutionary formula of herbal stimulants and caffeine provide the kick of energy shots second to none. With 0 sugar and 0 calories, Tweaker provides a powerful boost of energy without the crash. 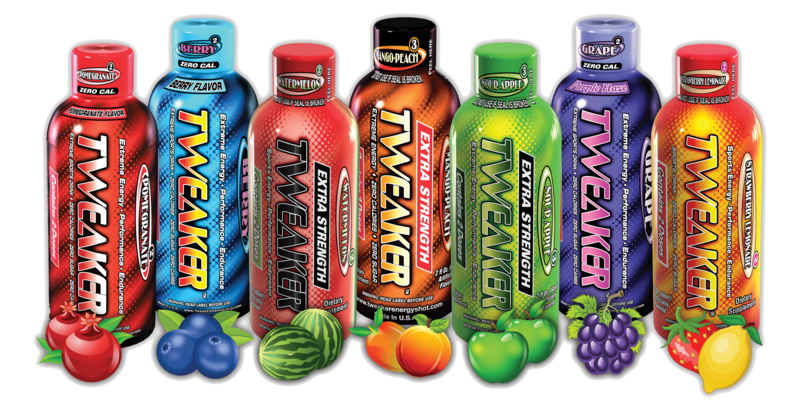 A 2ounce shot of Tweaker gives you a great energy boost and tastes amazing too! Health Club Quality Ingredients! Try Our Seven Great Flavors!